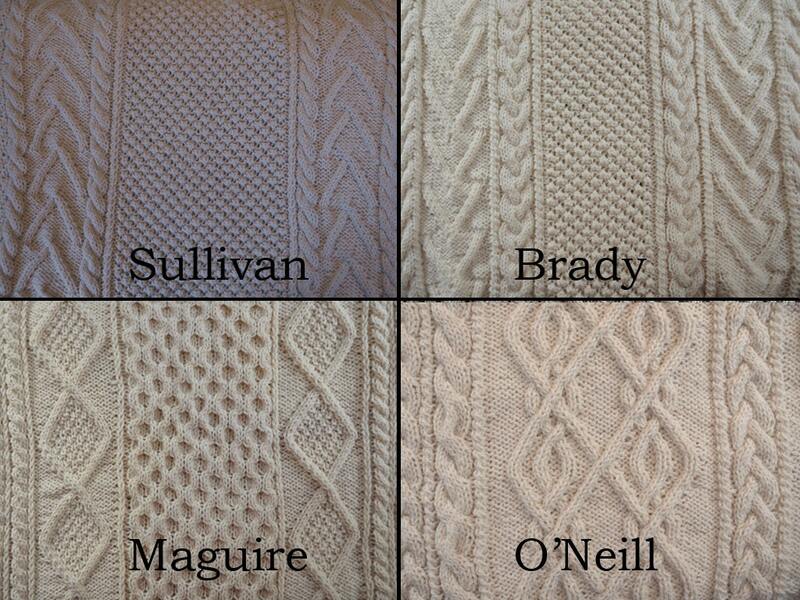 These special hand-knit throw blankets are based on the Irish fisherman's sweater patterns of Irish clans. 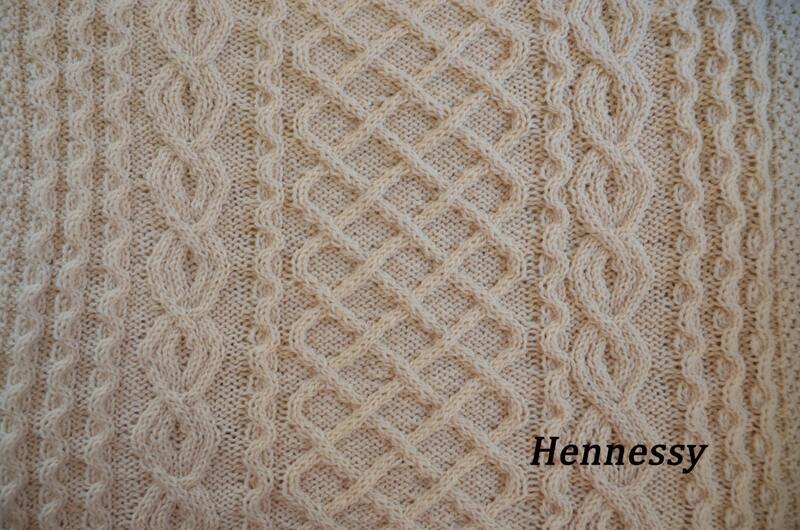 The elements of these patterns represent things like luck, wealth, hard work, etc., depending on the pattern selected. 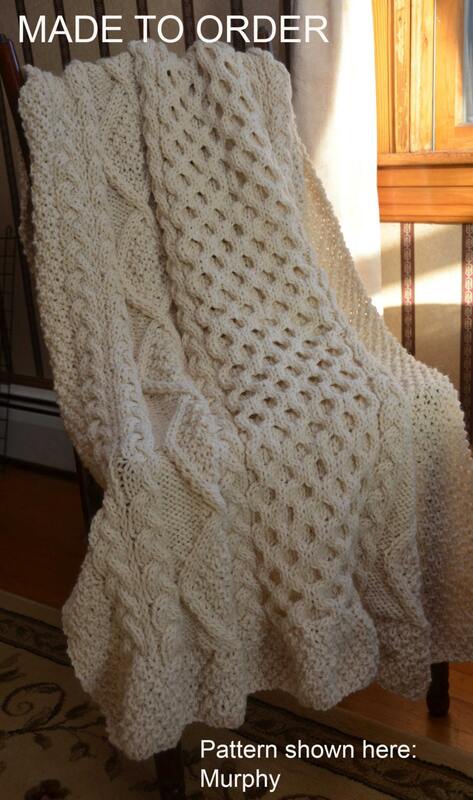 Made of high quality, bulky-weight 100% undyed Peruvian Highland ecological wool, this blanket is incredibly soft and warm. 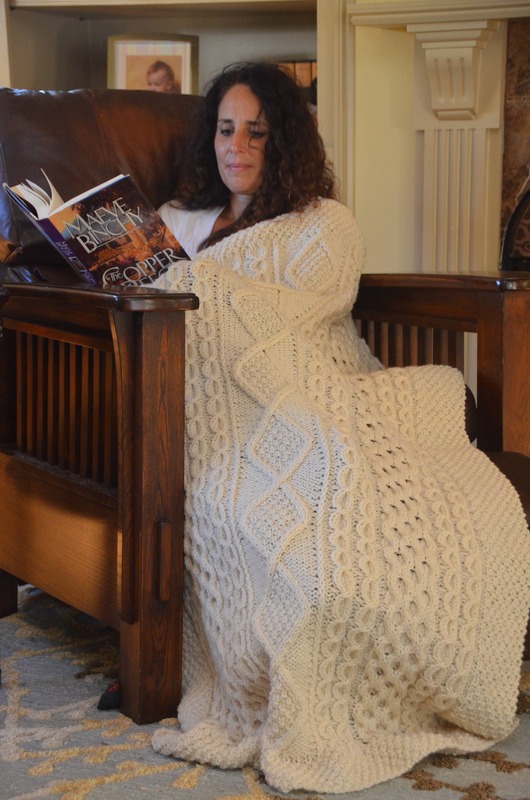 Perfect for lazy day spent curled up on the sofa with a book! Approximately 37" x 60". Hand wash in cold water, lay flat to dry. Current clan patterns available are: Barrett, Brady, Burke, Byrne, Carroll, Hennessy, Kavanagh, Kelly, Kerrigan, Maguire, Mahoney, McDevitt, McDonnell, McMenamy, Murphy, O'Brien, O'Connor, O'Hara, O'Keefe, O'Neill, Riley, Ryan, Sullivan, and Walsh. 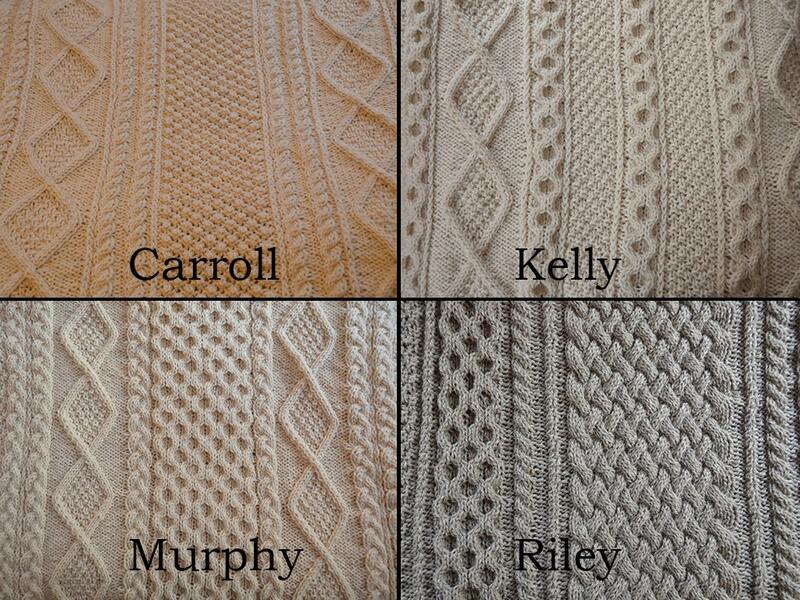 (PLEASE NOTE: the Mullin and Riley throws are more expensive, as their design requires more stitches/yarn than the others.) Looking for a different clan? Convo me, and I'll see if I can track it down. If not, I can make a custom design just for you! 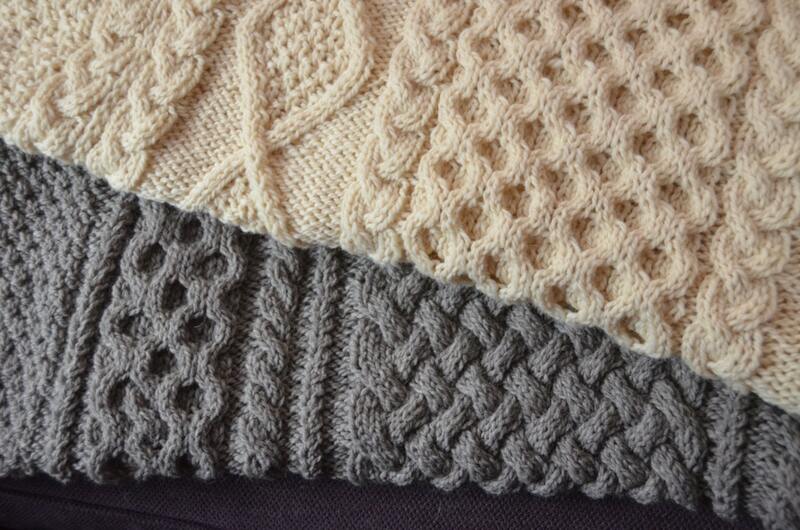 Each blanket takes approximately 2-3 weeks to be knit. When I receive your order, I'll e-mail you to let you know how many orders are ahead of you. If you'd like to know how far out I'm booking before placing your order, please feel free to send me a message and I can let you know. Additional colors are available at an additional cost. Please message me before placing your order if you are interested in other colors.